PATNA: Rampaging ruffians barged into a government residential girls’ school in Bihar and badly assaulted the girl students after they protested their lewd comments. 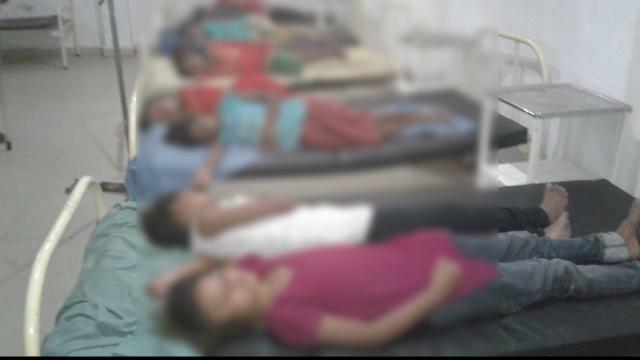 The incident took place at Kasturba Gandhi Girls’ residential school, Daprakha in Supaul district on Saturday evening. According to reports, the girls were playing in the school ground in the evening when some local youths passed lewd comments at them which she protested. The girls also beat up some boys after which they fled. After some time, a group of anti-social elements armed with bamboo sticks attacked the school and beat up the girls chasing them from one corner to another, leaving around 35 wounded. The injured girls have been admitted to a local hospital for treatment. The goons didn’t spare the teachers either and assaulted them badly. The local district magistrate said they were scanning the CCTV footages to identify the accused persons. Sexual harassment of girls has become a matter of serious concern in Bihar of late. Recently, at least 34 girls were allegedly gang-raped at a government-run care home in Muzaffarpur district after which a CBI probe was ordered. The state government has come under fire over rise in the cases of sexual attacks against the female communities. Bihar opposition leader Tejashwi Yadav has attacked the state government for its failure to provide security to the female class.